There’s a small amount of aluminium still in the crucible. 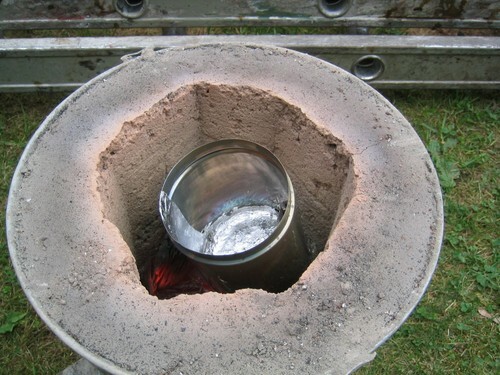 The walls of the crucible are quite thin and cooled quickly when I was pouring, so the aluminium started to solidify. This will be less of a problem with bigger amounts.